Vintage Ivory and Light Blue Cotton Indian Agra Rug, Country of Origin: India, Circa Date: Mid 20th Century — A splendid shade of cornflower blue set against a white background augments the delicate details of this vintage Indian Agra rug, conjuring a fascinating dialogue between flora and fauna. Elaborate botanical motifs, interspersed with avian and deer figures, radiate through the central field. Graceful undulations adorn the main border, guiding the eye along a delightful path and unifying with the overall pattern to create a compelling image. White floral and circular silhouettes decorate the cornflower blue guard borders, cleverly employing negative space and coinciding with each individual facet of the design. An exquisite amalgam of harmonious elements, this vintage Indian rug is a fine example of magnificent handiwork. 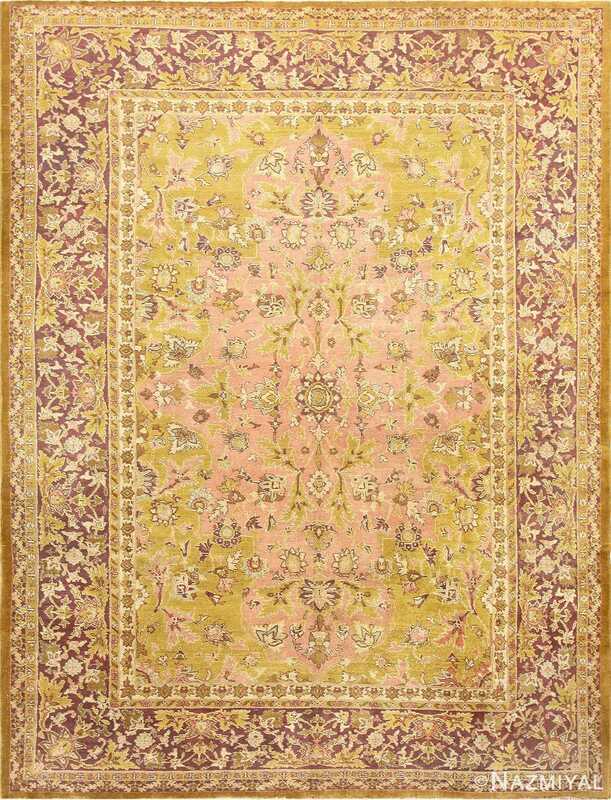 Woven during the mid-twentieth century, the strict palette of this piece allows the detail in its lovely floral pattern to take center stage. 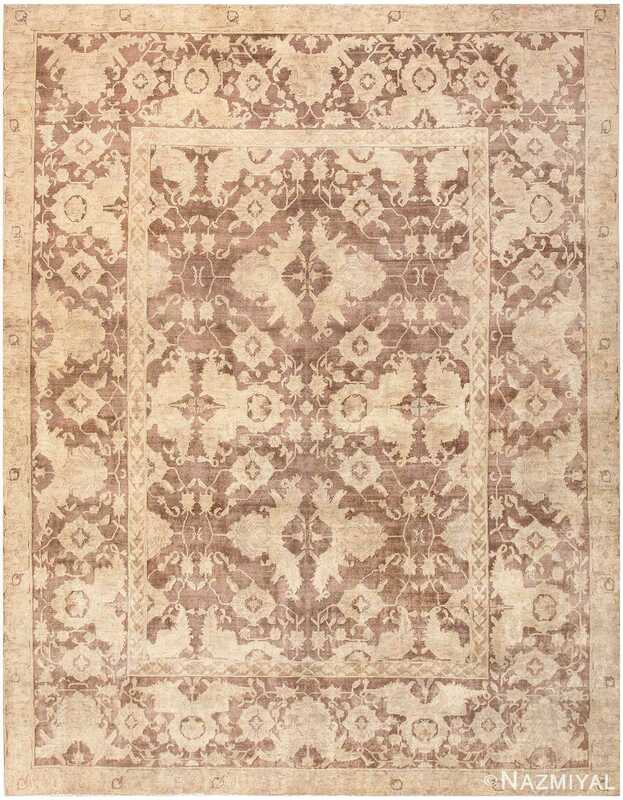 The floral motifs in this rug’s field are organized within a geometric diamond grid, which gives the rug a sense of cleanness and organization. 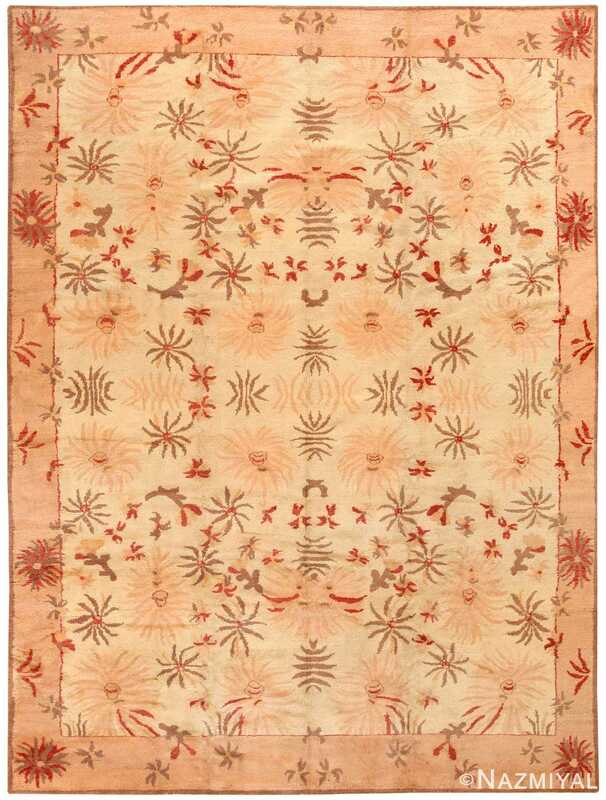 The color palette of this vintage Indian Agra rug makes this piece particularly desirable. The combination of blue and white never goes out of style, and is a perennial classic. The combination gives interiors a look that is fresh and crisp, and both primary blue and neutral white go well with many other colors, which makes finding furniture and accessories that match a cinch. Pair the combination with bold yellow for a vibrant space, or shades of grey for a more sophisticated and subtle room. 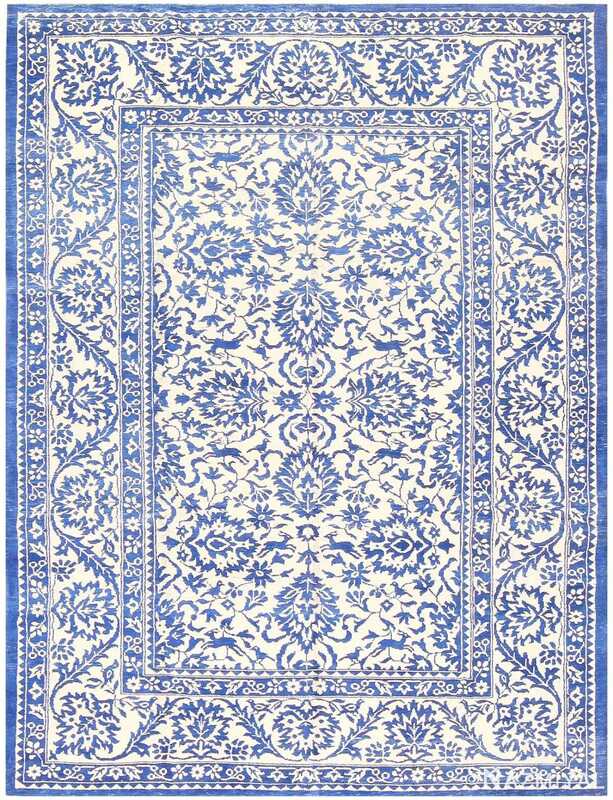 Either way, the cheerful floral rug motifs and lively rhythm of this vintage Indian Agra rug are sure to bring joy to any room in your home.